This is a smaller version of the much larger "Cross-Hairs". This is an amazing ring because it is designed as a daywear ring whereas the original larger version was designed as a fashion ring. 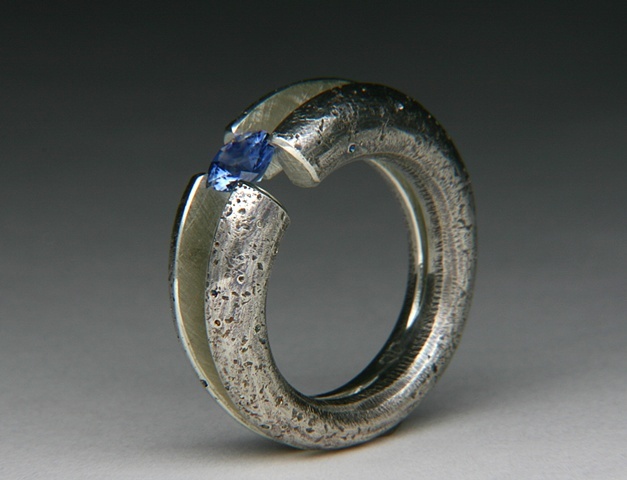 The stone is a color change Sapphire that shifts color in different light sources. This one changes from blue to purple blue. The stone is tension set on all four corners. Making it a truly challenging ring to create.